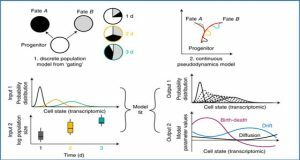 Over recent decades, substantial efforts have been made to understand the interactions between host genomes and transposable elements (TEs). The impact of TEs on the regulation of host genes is well known, with TEs acting as platforms of regulatory sequences. Nevertheless, due to their repetitive nature it is considerably hard to integrate TE analysis into genome-wide studies. 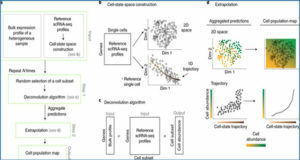 Here, researchers from the CNRS Laboratory of Biometrics and Evolutionary Biology developed a specific tool for the analysis of TE expression: TEtools This tool takes into account the TE sequence diversity of the genome, it can be applied to unannotated or unassembled genomes. 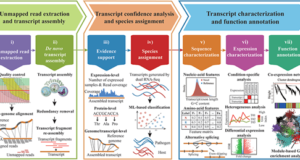 TETOOLS performs the mapping of RNA-seq data obtained from classical mRNAs or small RNAs onto a list of TE sequences and performs differential expression analyses with statistical relevance. 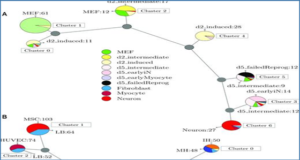 Using this tool, the researchers analyzed TE expression from five Drosophila wild-type strains. Their data show for the first time that the activity of TEs is strictly linked to the activity of the genes implicated in the piwi-interacting RNA biogenesis and therefore fits an arms race scenario between TE sequences and host control genes. (A) Details of the TEcount module, which uses reads in fastq format, TE sequences in fasta format and a rosette file (see text) as input. (B) Details of the TEdiff module, which uses DESeq2 to perform the differential analysis of expression and produces result files in tables and figures. Examples of the various figures produced by the TEdiff module are presented from C to H. (C) Model goodness of fit of the data. (D) Principal component analysis of the different samples with their replicates. (E) Heatmap of the various samples. (F) MA plot of all samples. The red dots correspond to significant differences. 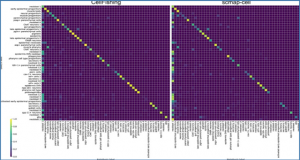 (G) Heatmap corresponding to the expression levels of each variable for the various samples and replicates. (H) Volcano plots of all pairwise sample comparisons. The figures were obtained with three strains from our mRNA data.